Bruce and Terri Mulberry have been in full-time Christian ministry since 1980 serving as pastoral staff, missionaries, and in traveling ministry. Bruce shares his pastoral gifts by ministering to many who are in crisis as well as to those living successful lives. By “holding their hearts” and assisting them through relational conflicts and compulsive behaviors as well as setting goals and seeking God’s blessings for their future lives, Bruce and Terri bring Biblical truths into practical daily living. Bruce is a regional coordinator with Family Foundations, International providing leadership from Maine through Virginia. In 2006, Bruce and Terri began At Liberty to help facilitate their ministry with FFI, and to minister to individuals and churches throughout the northeastern United States . 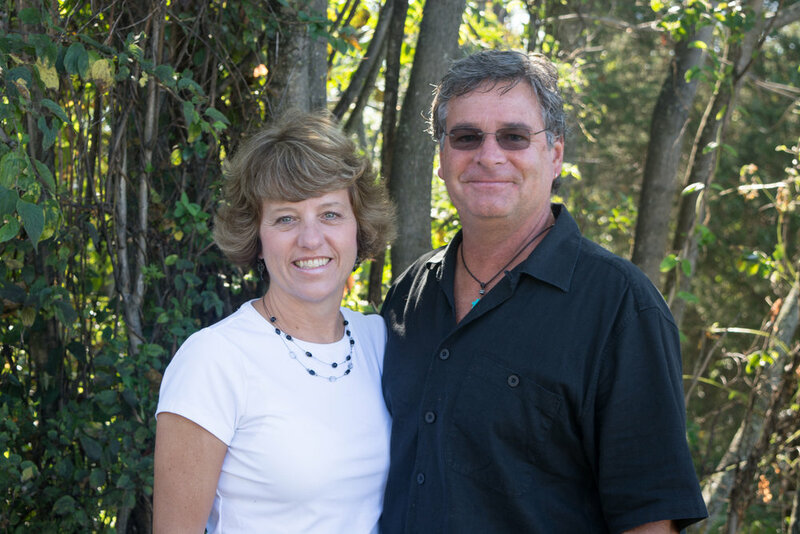 Bruce and Terri believe it is their calling to help establish a culture of blessing and to serve as watchmen on the wall assisting and keeping a focus on Biblical truths. By restoring foundations and building correct walls of protection we experience “safe hearts that are truly free” to release the Culture of Blessing—generation to Generation! Dennis and Michele have been members at Hopewell Community Church since its beginnings in 1984. They have been part of several ministries during that time. Dennis has served as Worship Leader and Deacon, while Michele taught Sunday school and served as the relay center coordinator for Samaritan's Purse's Operation Christmas. Together, they also taught Junior Church. After, stepping down from worship, they were called to take over leadership of the Blaze Youth Group which they ministered to our students for seven years. Dennis was installed as an Elder in the church and one of his passions is teaching the Word of God. They have 2 children, both miraculous answers to prayer, and love to go to the beach. Michele is an avid reader and Dennis stills plays guitar .